Grandmaster Ivan Saric (Croatia) gets the ACP wild-card for the participation in Poikovsky Supertournament. Since the start of the ACP Tour 2014, Ivan Saric has won the Wijk-aan-zee "B" tournament, Croatian Championship, and shared second place in the recent European Championship. These results brought him a significant number of points in the ACP Tour, enabling his qualification for the wild-card. The Association of Chess Professionals has reached an agreement with the organizers of Poikovsky - one of the strongest Grandmaster tournaments in the World. 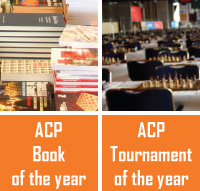 The tournament in Poikovsky, named after A.E.Karpov, will take place between 10 - 21 May, 2014 with the participation of the World's best players and the ACP wild-card. The organizers of Poikovsky have kindly agreed to provide one spot for the ACP nominee. The ACP Board has decided to select its wild-card among ACP Premium Members*, based on the ACP Tour standings on 15 March, 2014. It is with a great deal of sadness that we are informing you of the death of one of the leading grandmasters in the world Vugar Gashimov. 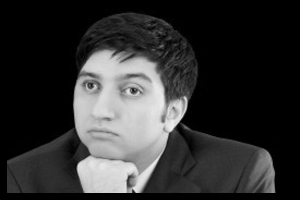 Vugar was born on 24 June 1986 in Baku, Azerbaijan and passed away on the night 10-11 January 2014 in Heidelberg, Germany. For years he had suffered from epilepsy and a tumor in brain. Нынешний Совет Ассоциации был избран около 2 лет назад, и одним из первых его решений была отмена членских взносов до тех пор, пока организация не покажет конкретные результаты своей постоянной работы. Сегодня мы с гордостью предоставляем вашему вниманию 10 главных направлений, по которым мы добились существенных достижений с января 2012 года. One of the first decisions of the current ACP Board after its election about two years ago was to waive the membership fee until we could show concrete results of our dynamic work. The time has come to sum up the results of the ACP Board activities in 2013. I am proud to say, that we have managed to reach most of our objectives for the year, both in terms of organizing the events, protecting chess players' rights and promoting the higher status of chess professional. India, led by the world champion Viswanathan Anand, has recently become one of the most impressively growing chess countries. We are proud to announce that one of India's best player, 20-year old Parimarjan Negi, has joined the ACP Board to share his experience and ideas. 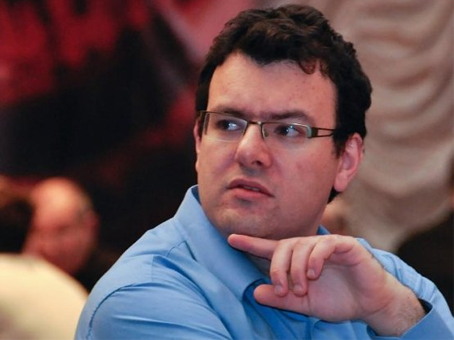 His active involvement will definitely help the ACP to promote and develop chess worldwide, as well as to better understand and even more efficiently solve problems that chess professionals encounter in Asia.